We love weddings here at Karisma Cruises! Nothing beats the excitement of participating in one of the most important days of your life. From wedding receptions and ceremonies, to buck’s/hen’s parties, we’re determined to help create wedding experiences that couples, and their guests, will never forget. But before getting stuck into the planning of wedding ceremonies or receptions, there is often another event to kick things off – an engagement party. Engagement parties are a fantastic way to bring families and friends together to celebrate an engagement. They are a lot less formal than weddings but can still be a daunting task to organise – especially if you’re trying to arrange a surprise party for the couple. The good news is that the planning can (and should) be an enjoyable part of the experience. It’s a chance to plan something special and get everyone together to celebrate. It also marks the start of the journey to the wedding day. We’ve listed down some tips on how to organise the ultimate engagement party in Sydney below. Just like the wedding itself, choosing a good venue will be the backbone to any engagement party. Luckily, Sydney has so many amazing places and locations, you’re never too far away from a magical fairy-tale venue to host your engagement party. Engagement parties shouldn’t need as much planning as weddings or buck’s/hen’s dos, but thinking about a good venue is worthwhile. 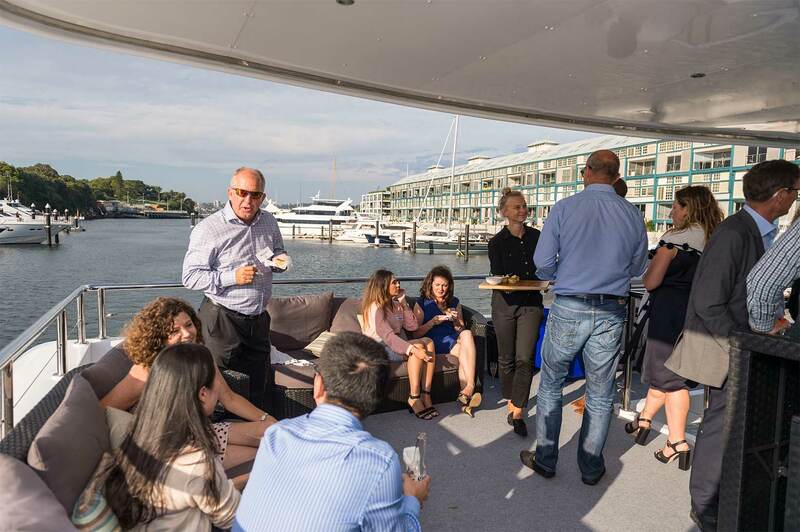 We may be a little bias here at Karisma Cruises, but we think using a chartered boat to host an engagement party in Sydney Harbour is hard to beat! 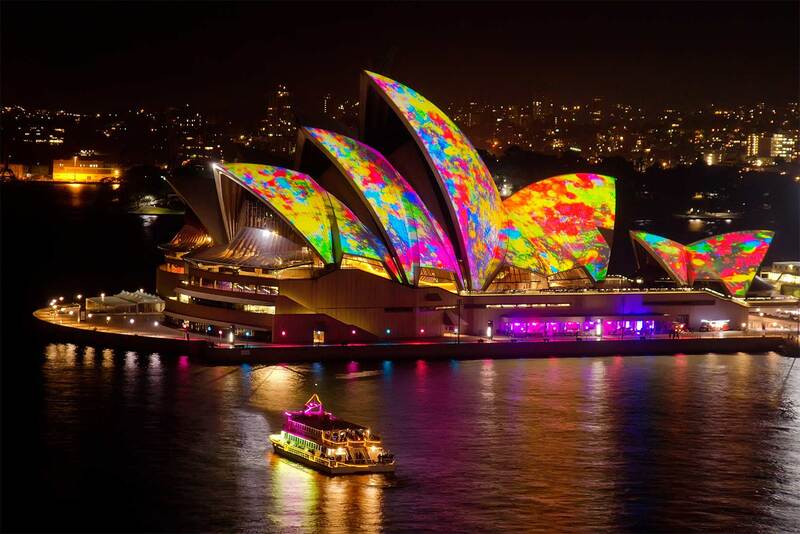 Other potential venues could include booking out a café, hotel or bar in Sydney. Or similarly, you could simply organise a party on the beach or in the park. Do the couple love a particular bar or did they meet in a certain café? Choosing little nuances that help tell the story of the couple could be a great way to create a memorable engagement party. You may want to bring decorations too, adding your own style to the venue. It’s also worth thinking about where guests are coming from – choosing a really remote cottage or hotel off the beaten track could be a great idea in theory but might make it difficult for guests to attend. No party is complete without food and drink. Deciding on the type of food and drink you want will influence what type of party you organise. Do you want just a few nibbles in the evening? Or perhaps a full 3 course meal? Do you want it fully catered? Or perhaps a more informal bring your own food/drink style party? Some venues will have a strict policy around food and drink so its worth thinking about this before selecting a venue. The number of guests may also influence what kind of food/drink you put on. You could even incorporate a theme into the food and drink. At the end of the day, engagement parties are about celebrating the love of a couple with close friends and family. Being able to quickly get the message out about the upcoming engagement party needs to be a priority for anyone organising such an event. A bride and groom will be able to inform everyone they would like to invite, but if you’re organising a surprise party, it can be challenging trying to decide who to invite. Speaking with family members and close friends to get a list of guests is the best way to ensure no one gets accidently missed off the invite list. Unlike wedding invitations, engagement party invites tend to be a lot more informal, so simply messaging or phoning friends and family is usually all that’s required. It can be hard to know when close friends or family may get engaged, so organising an engagement party can involve a lot of last-minute planning. Unlike a wedding, whereby couples may want to wait until the perfect moment for their wedding, engagement parties usually happen quite quickly after a proposal. This means successfully organising an engagement party is about making quick decisions and going with the flow. It may mean your dream venue is fully booked, but instead of waiting around, you may just need to find another one as quick as possible. There are so many things you could include in an engagement party in Sydney. Arranging for a photographer or videographer to attend is popular for weddings but can be equally memorable for couples during the build up to the big day at events like an engagement party or buck’s/hen’s do. Similarly, if you’re organising a big engagement party, having live entertainment is worth considering. We just love having weddings on board Karisma. Nothing beats the excitement of participating in one of the most important days of your life. We also know how overwhelming it is to think about all the small details that go into planning the perfect event. This where we really believe we can offer something truly remarkable and unique – giving couples and their guests an unforgettable experience. 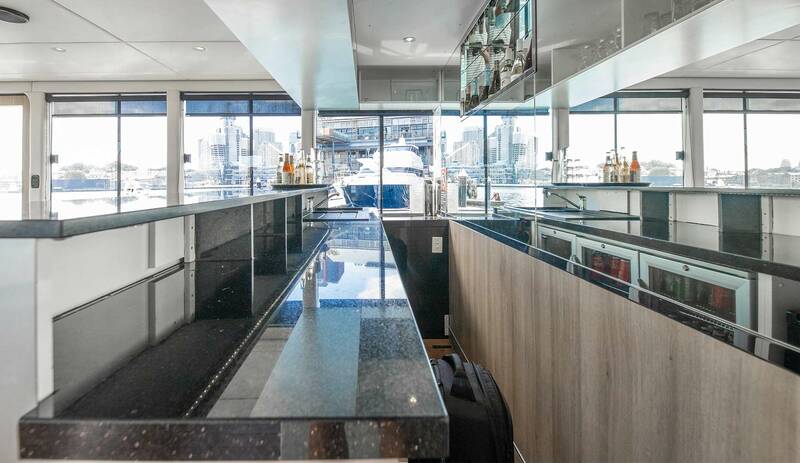 From the wedding itself, to things like buck’s/hen’s parties and engagement parties, hiring a boat on Sydney harbour is a great way to create something special. You can also use the boat for travel around the city during the wedding or as the perfect spot for a photo shoot. 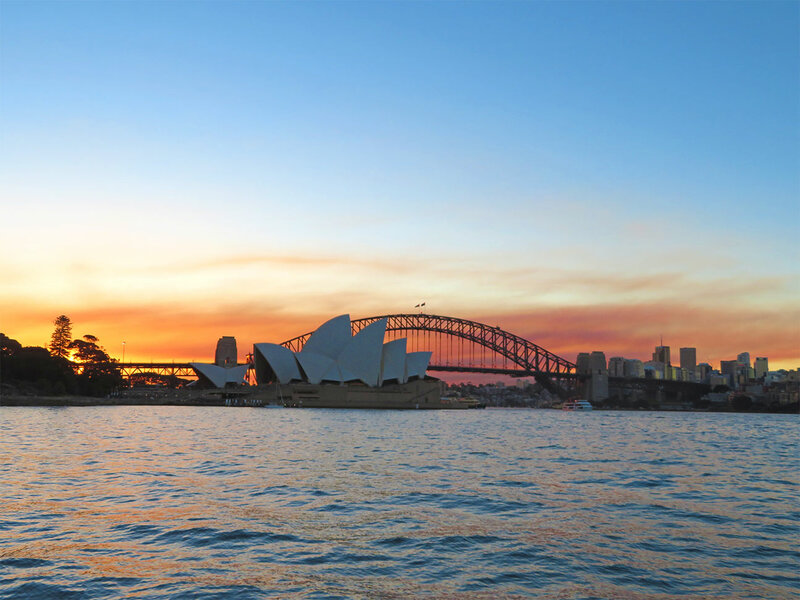 If you’d like to learn more about hiring a boat in Sydney, simply get in touch with us here at Karisma Cruises. Our mission is to ensure a seamless experience from point of enquiry right through to the conclusion of your event. Our friendly team can help showcase all our beautiful vessel has to offer and how it can be used for special occasions like engagement parties, buck’s/hen’s does and weddings.